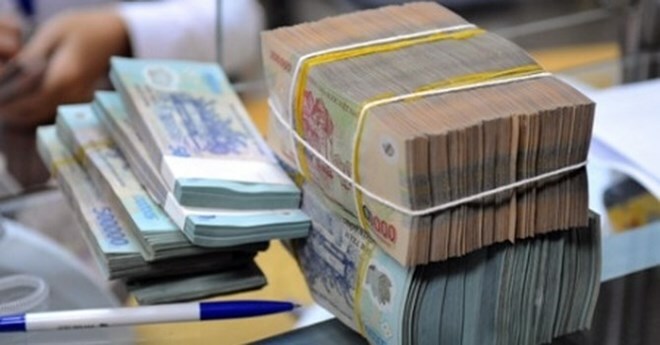 Hanoi (VNS/VNA) – Liquidity in the interbank market has been abundant, helping the State Bank of Vietnam (SBV) resume the issuance of treasury bills after five months to withdraw Vietnamese dong from the banking system. Reports from Saigon Securities Incorporation (SSI) showed the SBV withdrew 17 trillion VND (729.6 million USD) via the issuance of seven-day bills at interest rate of 3 percent per year. In addition, the central bank also net withdrew another 6.4 trillion VND via open market operation (OMO). According to SSI analysts, the move could be either SBV starting to show signs of a capital withdraw period after four consecutive months of money injection, or an indication of SBV’s short-term policy to maintain the overnight interbank rate at a minimum of 3 percent per year. Though the SBV withdrew up to 162 trillion VND in the last five weeks, interest rates on the interbank market steadily dropped, especially during last week. The rates sit at 3.3 percent on overnight loans and 3.4 percent on one-week loans, down 68 basis points and 65 basis points against the previous week, respectively. The analysts attributed the rate decline to good liquidity in the market after the SBV used a large amount of dong to buy US dollars from commercial banks over recent months. It was reported the SBV has net bought the dollar to date this year to build up the country’s foreign reserves. SBV data showed that after buying 6 billion USD last year, it purchased another 4 billion USD in the first two months of this year thanks to the available US dollar supply in the domestic market. In contrast to the good liquidity in the interbank market, many commercial banks are still listing high interest rates of more than 8 per cent on deposits of more than 12 months. This allows them to have long-term capital to meet the central bank’s regulation on reducing short-term funds for medium- and long-term loans to 40 percent against last year’s rate of 45 percent. In addition, banks also need more capital to meet a capital adequacy ratio (CAR) of 8 percent in 2020 as per the SBV’s Basel II standards. Due to commercial banks’ need for long-term capital, experts forecast interest rates for dong deposits will remain high despite favourable conditions until banks meet the central bank’s capital regulations. “Demand for mobilising capital on long-term deposits will keep interest rates at a high level, at least until the end of March,” SSI analysts said, adding interest rates may only be reduced on terms of less than six months thanks to the impact of low interest rates on the interbank market. Economist Le Xuan Nghia said that although the central bank was very cautious about increasing the money supply in the market, the rise of Government bond yields is also putting more pressure on interest rates. On the secondary market, bond yields increased by nine basis points on one-year bonds and by one to three basis points on 10-year to 15-year bonds. The current bond yields are 2.98 percent for one-year bonds, 4.75 percent for 10-year bonds and 5.07 percent for 15-year bonds. The deposit rate hike is causing concerns about a domino effect on the lending rate, but Nghia expects the central bank to take measures to keep the lending rate relatively stable this year.